Sometimes known as Wade Wilson, sometimes not, Deadpool is a character whose origins are up to interpretation. Given regenerative powers through the Weapon X program, his cells are unable to die, making him functionally immortal while also causing mental instability. 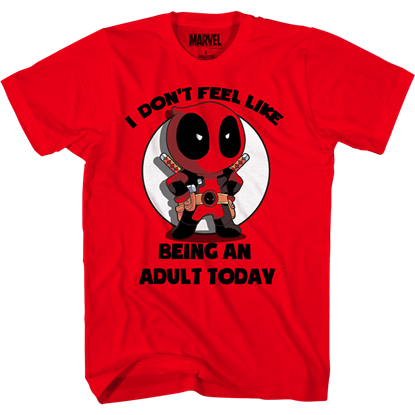 Fans have fallen in love with this offbeat hero with an attitude, and here at Superheroes Direct we offer a variety of Deadpool collectibles to suit the tastes of any enthusiast. From socks to statues, we have something for both casual fans and diehards. Our Deadpool statues, bobble heads, and POP figures are perfect to add to any collection. Check out our Deadpool shirts, hoodies, and other apparel, as well as our drinkware, other collectibles, and more to add a little Deadpool to your everyday life. 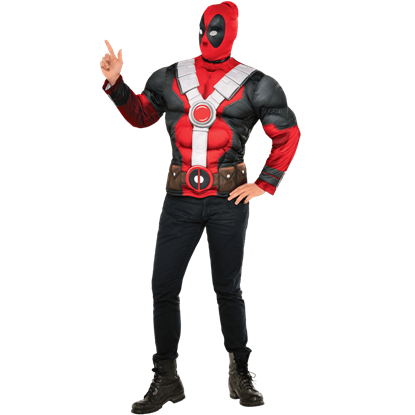 The Adult Deadpool Costume Set is one of the easiest ways to get the look of the infamous Merc with a Mouth for your next costumed event, superhero-themed occasion, or even Halloween. This set includes a costume top and a mask. 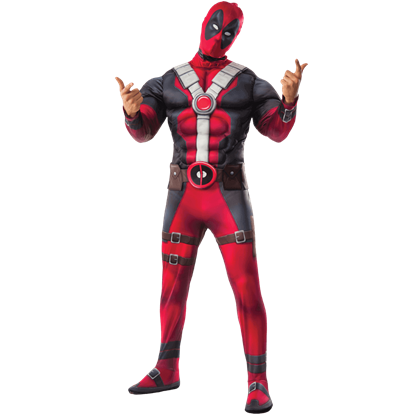 If youre looking to dress up as the infamous Merc with a Mouth for your next costume event, but you want the muscular look of a traditional superhero as well, then the Adult Deadpool Deluxe Costume Set is the ensemble for you. Deadpool is rarely seen without his mask, so make sure your Merc with a Mouth look includes this essential detail. 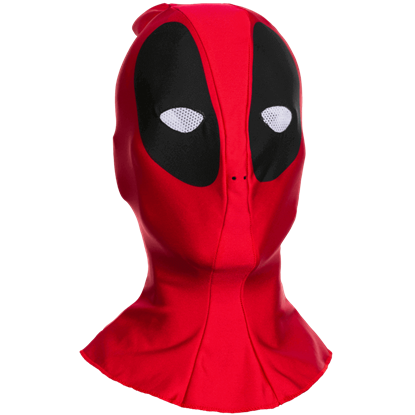 The Adult Deadpool Fabric Mask features a breathable fabric construction, making it ideal for any Deadpool costume. No superhero look is complete without gloves, and Marvels popular antihero Deadpool is no exception. 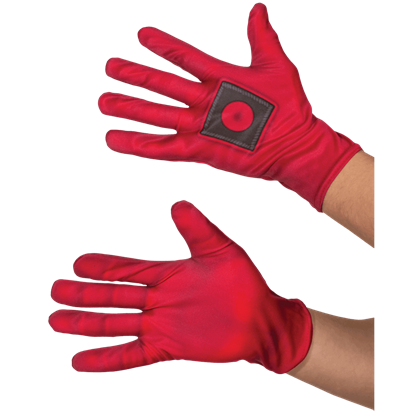 A must-have addition to any Merc with a Mouth costume, the Adult Deadpool Gloves are based on his typical red and black suit. While his super suit lacks a mouth cut-out, the infamous Merc with a Mouth still finds a way to voice his two cents in every situation. 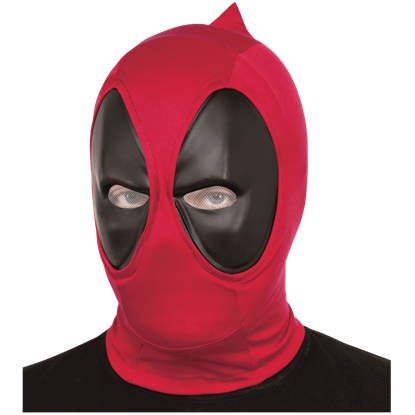 The Adult Deadpool Overhead Mask replicates the look of his iconic mask with quality and style. 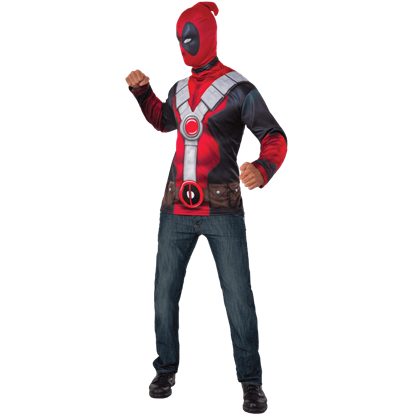 With strategic fiber padding throughout its arms and torso, the Adult Deluxe Deadpool Costume is a fantastic, muscle-packed way to get the look of Marvels infamous Merc with a Mouth for all your costume-worthy, superhero-themed events. An excellent design which really gets to the point in expressing your enthusiasm for Deadpool, his unique personality, and skillset, the Blades Crossed Deadpool Logo T-Shirt features a pair of crossed swords below his iconic logo. Do you like the action-packed stories of Deadpool, also known as the Merc with a Mouth? If so, make sure to exhibit your personality in every aspect of your wardrobe, even formal attire, with this Colored Deadpool Logo Lapel Pin. 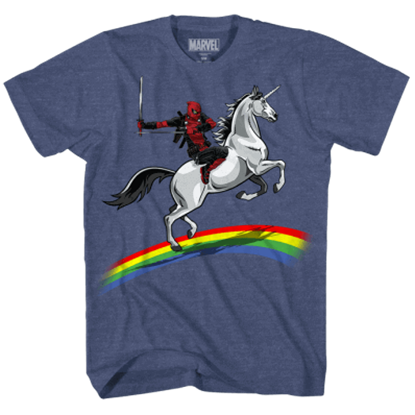 Riding his trusty steed and unconcerned with what he finds at the end of the rainbow, be it a pot of gold or a no-holds battle with death, Wade Wilson is always ready to go down in a blaze of glory as seen in the Dead Glory T-Shirt. 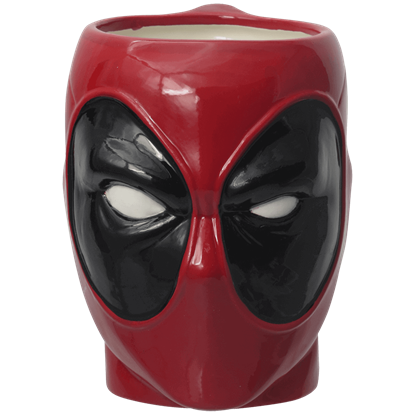 Wake up to the masked face of Wade Wilson every morning along with a serving of caffeine, or admire his snarky expression over a relaxing brew, regardless, the Deadpool 3D Ceramic Mug is a fantastic choice in superhero drinkware.